Figuring out the best way to pop the question to your special someone can be overwhelming. At Photobook, we’ve seen that an ultimate unique way to say “I love you!” is with a proposal photo book! Valentine’s Day is always a good time, but truth be told, there’s never a better time to take it to the next level than now. Don’t give away the ending! Avoid giving your partner the feeling of what the book is really about. Pass off the photo book as a sweet gesture or even as a gift for Valentine’s Day that celebrates your love for one another. Your love story. 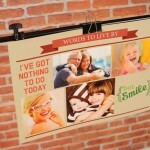 Make it a point to display your images in chronological order. Begin with your puppy love and until you have reached present day. It will be a great trip down memory lane and you can probably laugh at some unfortunate hairdos too! Size isn’t everything. We have found that smaller book sizes work the best. Book sizes like Small Squares and Medium Landscapes/Portraits should do the trick. Get romantic! Write your partner a love note! But don’t display it until the end. That way they won’t pick up on any hints. The question… Here it is. The pièce de résistance. End the book with your marriage proposal. Questions such as the evergreen “Will you marry me?”, or a slightly different “Let’s spend eternity together” or even “Be my Happily Ever After” is always a safe bet! When your partner turns to the last page, physically and mentally prepare yourself. Get the ring ready and present it to them just as they finish reading the last page. Keep the story going. Leave a few pages empty after the question page so that you can manually add on a little here and there afterwards for years to come. A wedding photo, the new house with white picket fences, the newborn, the silver years together and so forth, makes a beautiful addition. There is it. A gift that will last forever tied together with long lasting memories. It’s a great Valentine’s Day gift or even as an anniversary keepsake. Valentines Day is just around the corner so hopefully you have a little something for your sweetie. But if not, we have a few DIY ideas that are sure to swoon them into a state of bliss. Cut out a bunch of different sized hearts in an assortment of colors, preferably in red and pinks from construction paper. 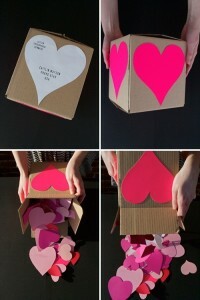 get a small box and decorate the box with large hearts on the outer side. Mail the box to your Valentine or simply give it to them via hand. If you have more time, write a little message on each of the hearts – well, you want to show a little effort in this, don”t you? So you’ve wooed that special someone with flowers, candy and maybe even some jewelry, right? Well how about something unique and special this Valentine’s Day? A photo book is the perfect keepsake filled with memories of your favourite moments together and the ideal way to shout “be mine!” from the rooftops. 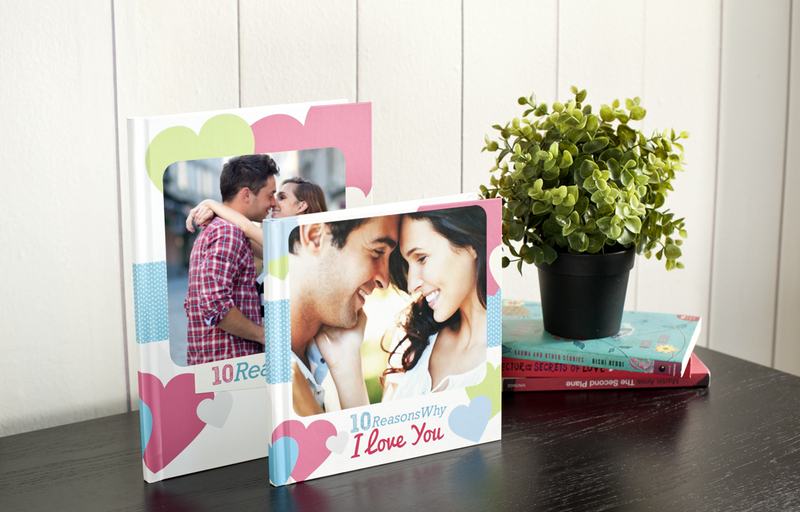 To make the design process a little easier, we have a few Readybooks that will fit Valentines Day perfectly! 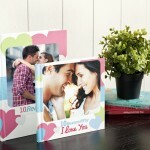 10 Reasons Why I Love You is the perfect backdrop to showcase you and your sweetie’s love. 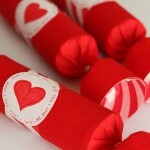 If ten reasons just isn’t enough, try out My Sweet Valentine! We hope that we can help you spread the love this Valentines Day! After months of planning, it is finally here! 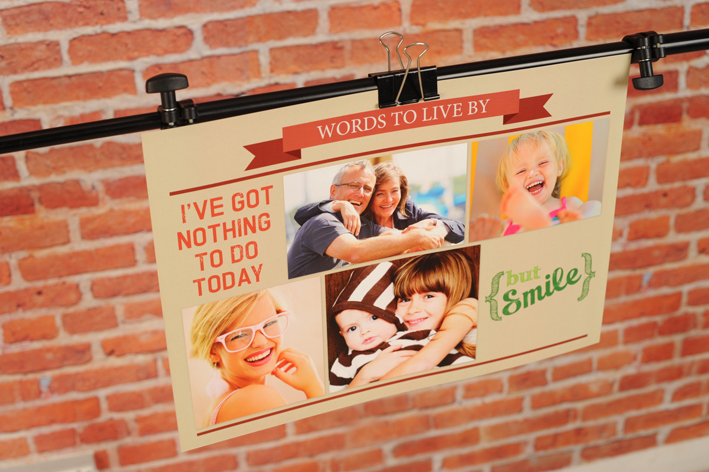 They are easy to personalize and make great wall showcase – our newly launched Poster Prints! The Poster Prints are available in A3 size (297x440mm) and are perfect for walls in any room of your house or office.